In 1978 the BBC ran a music series called Rock Goes To College featuring bands playing at campuses. The Stranglers were booked to play Guildford University, this arrangement was set up by the BBC and Howard Marks, an independent PR retained by the Stranglers management. The band agreed to the idea particularly because Guildford was where they played their first gigs. At the time the Stranglers were banned from other venues in the town so this was the only chance for fans to see them. However the band weren’t keen on tickets only being available to the students, they felt that people from the town should have an equal chance of attending and so wanted half the tickets to be sold through local independent record shops. Howard Marks assured them that he had secured this arrangement with the BBC. After the sound check on the day of the concert Hugh spotted an offer of free tickets to the concert for new students who attended a cheese and wine party. The seeds of suspicion were sown, interrogating various BBC personnel showed that they were unaware of any agreement concerning the distribution of tickets. Word got back that most of those who queued to get in were from the university, and the very few members of public who had obtained tickets had paid high prices for them. It had seemed the BBC had gone back on the ticket deal. The Stranglers decided to let some public non-ticket holders in, only to find out later that they were ejected again by the stewards. A pre stage meeting decided what was to happen next. On stage, Hugh asked the audience if any of them were from Guildford rather than the university, the result was less than overwhelming when only ‘half a dozen’ people at the back responded. This, proving that the Stranglers had been cheated, resulted in the band walking off after the first or second number (Hanging Around). Howard Marks the PR man meanwhile had not been seen all day. 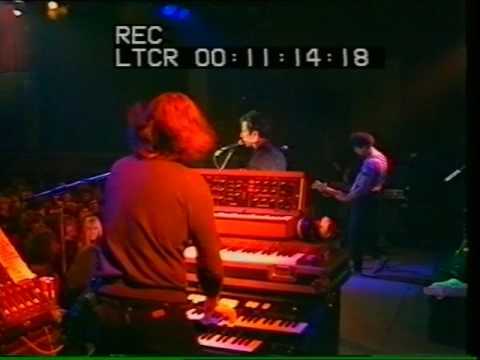 The producer responsible for the broadcast, Michael Appleton, was not very happy because of the wasted BBC budget for the Outside Broadcast Unit and the lack of end product, particularly as another band could have had the chance instead. Appleton later went on to produce The Old Grey Whistle Test hence the Stranglers non appearance on this program as he was not prepared to work with them. 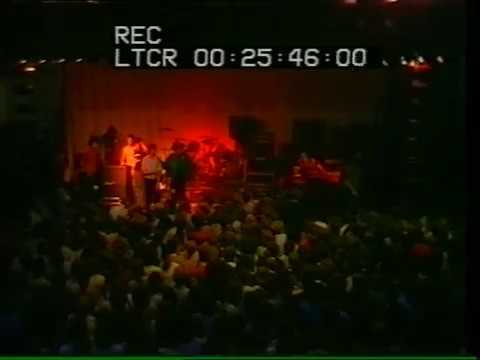 The BBC have subsequently broadcast the footage of this event, it was included in the 1992 Sounds Of The Seventies series in the edition concentrating on punk.